Somewhere near mainland Asia lies an archipelago that consists of 7,107 islands, scattered like pearls on the deep blue sea. There's so much to see in the Philippines - picturesque white sand beaches, majestic underwater rivers, the towering mountains, volcanoes and plateaus and the lush green vegetation of rainforests. Philippines is indeed one of the premier destinations in Asia. 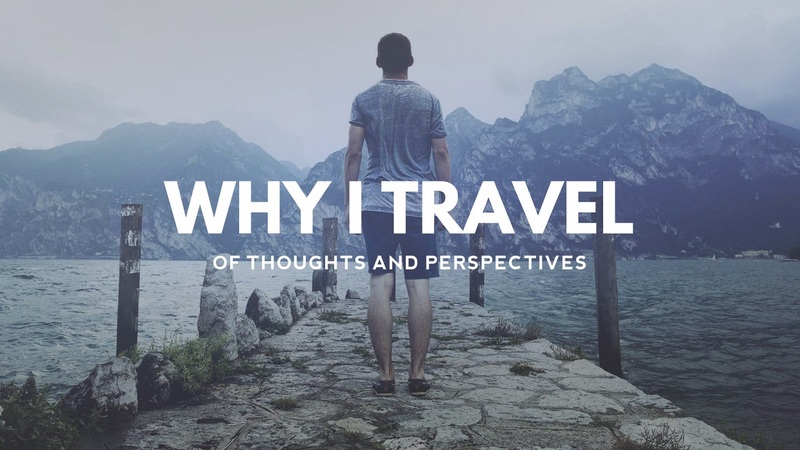 And because seven is my favorite number, I will share seven travel tips to have a worthwhile experience here in this tropical paradise. 1) Cheap Air Travel. Within the past few years, low-cost carriers have sprouted like mushrooms across Asia. Here in the Philippines, Cebu Pacific Air and AirPhil Express are the top two airline companies that offer rock-bottom fares and take you to some of the country's premier destinations. Thus, there's no need to take premium (and expensive) airlines! 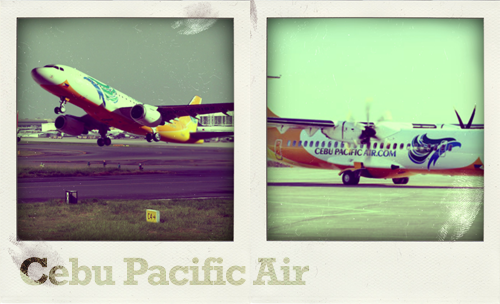 Personally, I have availed piso fare flights, courtesy of Cebu Pacific Air. Roundtrip tickets (DVO-MNL) roughly costs Php 800 (More or less $19). It’s easy to book these flights online, and you get to save money too! 2) Lite fashion. If you're in the Philippines, wear light clothes. The weather is always hot and humid here in the Philippines, well except in some mountainous regions where temperatures can drop as low as 10 degrees. More so, I suggest you wear flip-flops instead of shoes. Flip-flops are lightweight and simple. And because the country experiences sudden rain showers, flip-flops are more comfortable to wear than shoes. You don't want to walk with your soggy shoes, do you? 3) Your choice of adventures. Contrary to popular belief, Philippines is not just limited to beaches. If you're not beachy, you can always opt to climb mountains. Mt. Apo (the tallest peak of the country) and Mt. 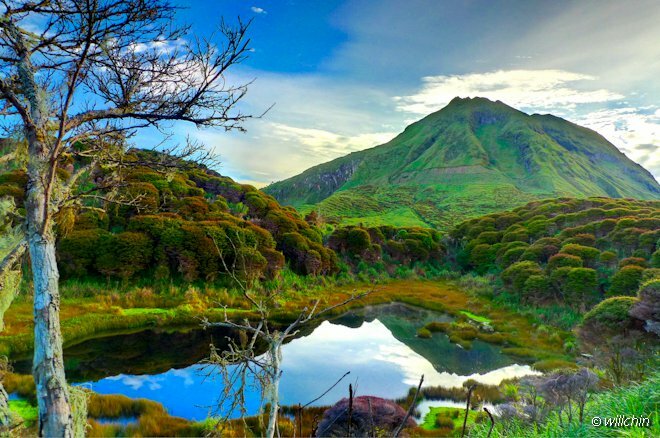 Pulag are just one of the most frequently climbed mountains of the country. You can also try white-water rafting at Cagayan de Oro City or Davao City, or take a deep plunge at the Enchanted River in Surigao, or meditate at Katibawasan, Pagsanjan and Tinago Falls. Truly, Philippines has a LOT to offer. 4) Shop 'til you drop. Love shopping? Well, Philippines is the perfect place for you. Filipinos really love to shop and because of that, out of ten largest malls in the world, two of them are located in the Philippines. If you're skilled in haggling then your money would definitely go places. 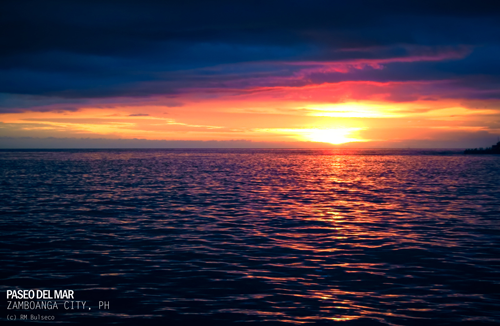 5) Experience the different colors of the Philippines. One of the unique features of the country is its people and culture. It is home to several hundreds of tribes with different cultures, traditions and languages and dialects. 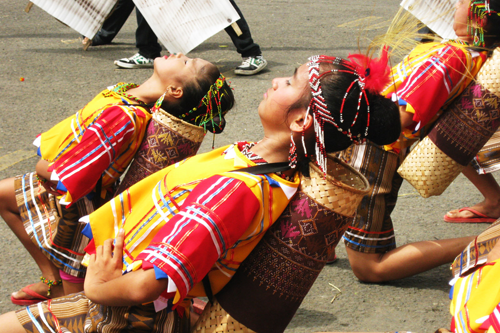 Almost every month, Philippines celebrates several festivals - Sinulog Festival of Cebu, Pahiyas Festival of Quezon, Dinagyang Festival of Iloilo, Kadayawan Festival of Davao, Hermosa Festival of Zamboanga, Ati-atihan of Aklan and MassKara of Bacolod are just one of the most famous festivals of the country. It just shows that Philippines is a very diverse country in terms of culture. 6) Eat your heart out, literally. If you're looking to some exotic gastronomic adventure, then you have come to the right place, my friend. A balut is a fertilized duck embryo that is boiled alive and eaten in the shell. Popularly believed to be an aphrodisiac and considered a high-protein, hearty snack, balut is mostly sold by street vendors in the regions where they are available. It may seemed barbaric but most Filipinos really do love eating it. It tastes good, too! One should not also miss Durian. It's more commonly found in the southern part of the country, particularly in the Davao Region. Widely known and revered in Southeast Asia as the "king of fruits", the durian is distinctive for its large size, unique odor, and formidable thorn-covered husk. Durian smells like hell, but tastes like heaven. Really worth it, if I must say. 7) Just ask! If you're lost, don't hesitate to ask the locals. And no, you won't get lost in translation because Filipinos do speak and understand English. Filipinos (or Pinoys) are generally hospitable and helpful. Sometimes you might come across something extra, even. So, what are you waiting for? Come to the Philippines and have a wonderful and memorable experience here! Oh, if you like this link, don't forget to follow me on Twitter (@renzybenzy)! this is very helpful for foreigners dude! I want to try to travel and used this steps. I travel just near Cebu now try to visit other land! great that you're blogging about the country! Phils is sooo underrated compared to other SE asian countries. We need more posts like this -- Filipinos marketing tourism to the world. ;-) Well done. Very great and helpful post Renzybenzy! Thanks Robbie! Kelangan ko pa talagang iexplore ang Pilipinas! Philippines has so much to offer!!! Hi! These are very helpful tips. By the way, nice blog! Thanks for the info you've share to us. Your site is very nice and has good content in talking about Phil.